Do you have photos, programmes or posters etc from the Arezzo cup game of 1978? Please let me know ASAP as Arezzo has requested anything we can share ahead of their celebration of the anniversary on 28 March. Also, it's worth noting that the Arezzo supporters association is currently raising money to save the club after their owner disappeared leaving 2m euro in debts! It would mean a lot to them if we could send something. Re: Do you have photos, programmes or posters etc from the Arezzo cup game of 1978? Phil wrote... On Wednesday 22nd City welcomed Arrezzo, then 8th in the Italian 3rd division central, to a rain and wind swept TP, where the conditions succeeded in dampening the Italians' enthusiasm - well, that and the 5 goals that we put past them! Afraid I didn't attend the game but I'm sure others like LB, Phil and Cannonball may be able to help. Was this the match where the photo of the 2 captains shaking hands before the ko was used on the front of our programme the following season? And do the Arrezzo fans want to pay us a visit, Lecco style? Anyway, if anyone has anything which could be sent over or would be willing to share their memories on film please let me know and I'll liaise with Oliver. Many thanks Martin! Yes if anyone can help, perhaps you can get in touch with Martin and arrange to meet at tomorrow's match. We can perhaps scan in any photos and programmes etc and return to you ASAP. When I first met their representative last Feb, there was indeed talk of an Arezzo visit - they even wanted to play a 1st team friendly at Twerton Park! Sadly the fans are now heavily focused in saving their club, so the anniversary celebrations have had to take a back seat. But they have assured me that they are interested in building links in the future, in case City fans want to add Tuscany to future "Italian Jobs"! OliverH wrote: But they have assured me that they are interested in building links in the future, in case City fans want to add Tuscany to future "Italian Jobs"! If it's anything like the Lecco one, I'm not sure my body can take much more of it! That being said, having just come back from Lecco a second time, the Anglo-Italian Cup has been the gift that keeps on giving. If I recall correctly, the bloke from Arezzo says they also have a "fan friendship" with Udinese's supporters, so you could potentially add Venice to the list! I was at that match against Arezzo, and I have just dug out the programme (scan emailed to Martin). I note from the programme that the referee was none other than Lester Shapter, who went on the referee the 1987 League Cup Final, amongst other games. Ken Allen, Nigel Ryan, Martyn Rogers, Mike Burns, Sir Richard Bourne, Paul Gover, Peter Higgins, George Gibbs, Andy Provan, Peter Rogers, Jimmy Jenkins. I agree with Simon's archive that the goalscorers were Provan, Gibbs, Burns, Bourne, Higgins (pen). And I noted the attendance as 903. The programme makes reference to a souvenir handbook, but, sadly, my pocket money did not stretch to 25p to buy that. Finally, to answer Martin's question about the two captains shaking hands, that photo was on the cover of the programme for that season (not that match as it was a single sheet programme), so must have been taken the previous season. Like Alan, I was at the Arezzo game. Two memories stand out. One was feeling disappointed by the attendance - although 900 for a midweek game sounds excellent nowadays, at the time I remember thinking 'how embarrassing - this team has come all the way from Italy and only 900 could be bothered to watch'. 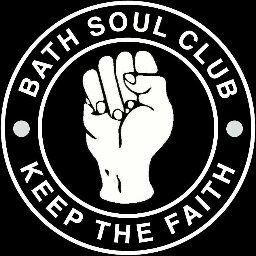 The other memory is marching down Twerton High Street after the game, singing City songs and blocking the traffic for what seemed at least 10 minutes. The amazing thing was that there were sufficient numbers to occupy the middle of the road and not feel threatened by buses or cars - they would just have to wait! Manchester Romans wrote: One was feeling disappointed by the attendance - although 900 for a midweek game sounds excellent nowadays, at the time I remember thinking 'how embarrassing - this team has come all the way from Italy and only 900 could be bothered to watch'. I think the attendance for the next home league game after that may have made up for it. There was over 3,000 for the Easter Monday (evening) game against Weymouth. Yes Remember that one well. Denied them a win through George Gibbs I think without checking. Crucial in the title run in. That year Weymouth were managed by Graham Carr, father of chat show host Alan Carr. I have still the 25p programme that covered all the games; but I'm sure others do as well. But if anyone needs to borrow it let me know. And yes the 900 attendance was embarrassing. Then, people were too flipping narrow minded to be interested in a semi pro Italian side; i couldn't wait to see an Italian team at TP!